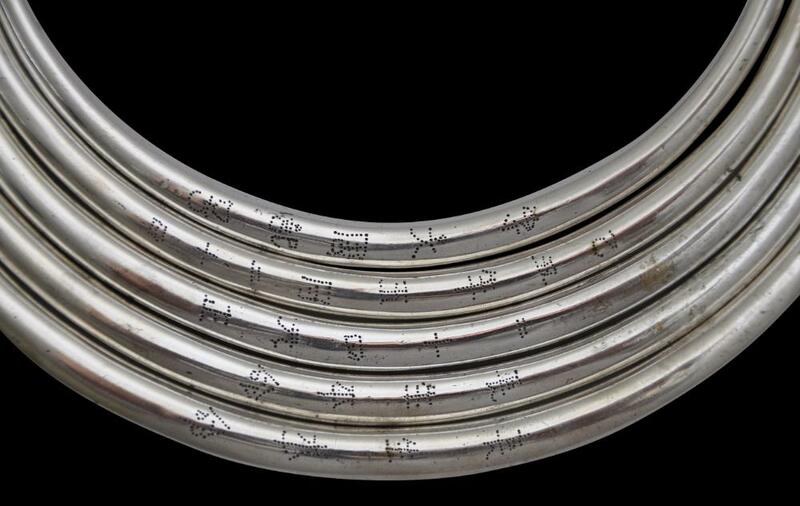 This series of cast solid silver, graduated neck rings or torques is from the Golden Triangle shared by northern Thailand, southern China, Laos, Cambodia and Vietnam. 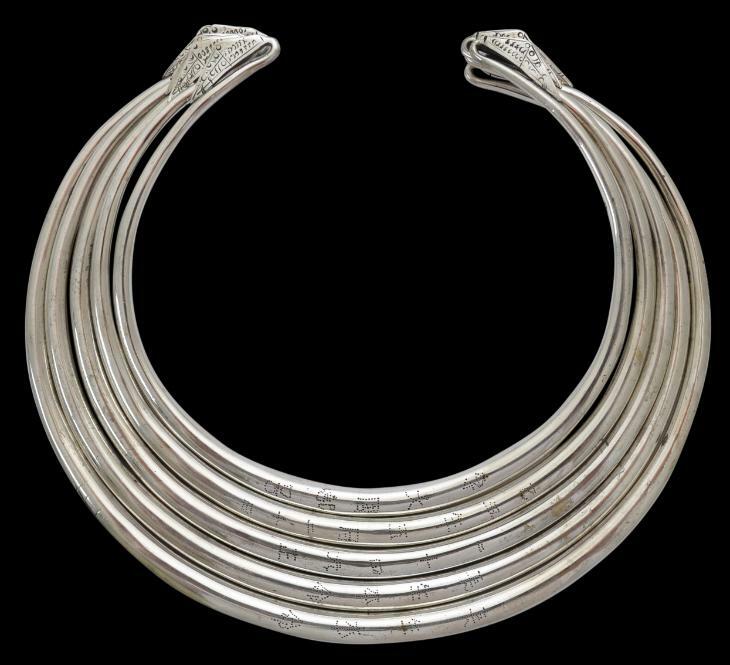 Such neck rings were worn by the Hmong or Mien (Yao) people of the area. 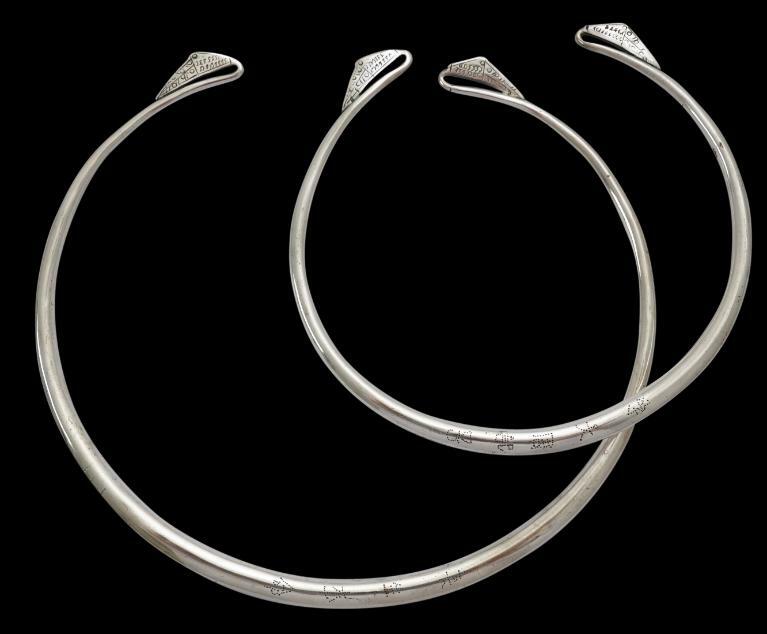 Typically, the women of these groups wore copious quantities of silver jewellery as a store of wealth. 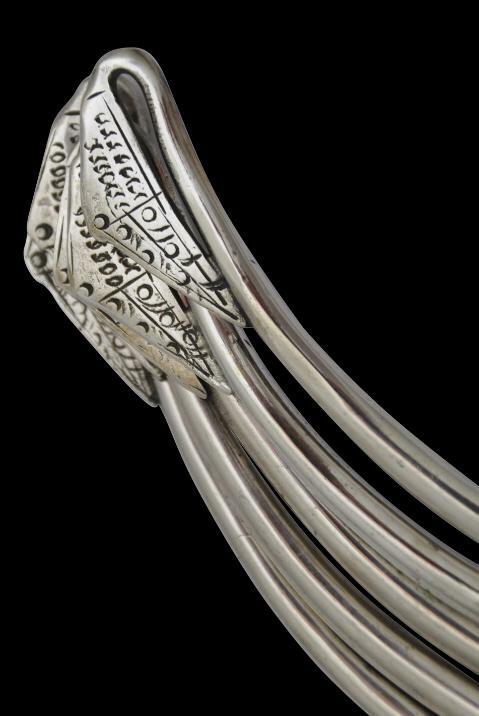 Such neck rings were worn bu both men and women from an early age and are said to be worn to keep the wearer’s soul from escaping. Each ring is solid and engraved with the owner’s name. Borel (1994, p. 180), Pourret (2002, p. 146), and Lewis (1984, p. 50-53) illustrates related examples. the set here is in excellent condition but with a good patina demonstrating its age.